This isn't a ground-breaking tip but it's one I didn't know prior to last night so I thought I'd share it with you in case you're unaware as well! I didn't notice it until I had finished painting and was getting ready for bed. I was too tired to do anything about it then so I waited to remove it. 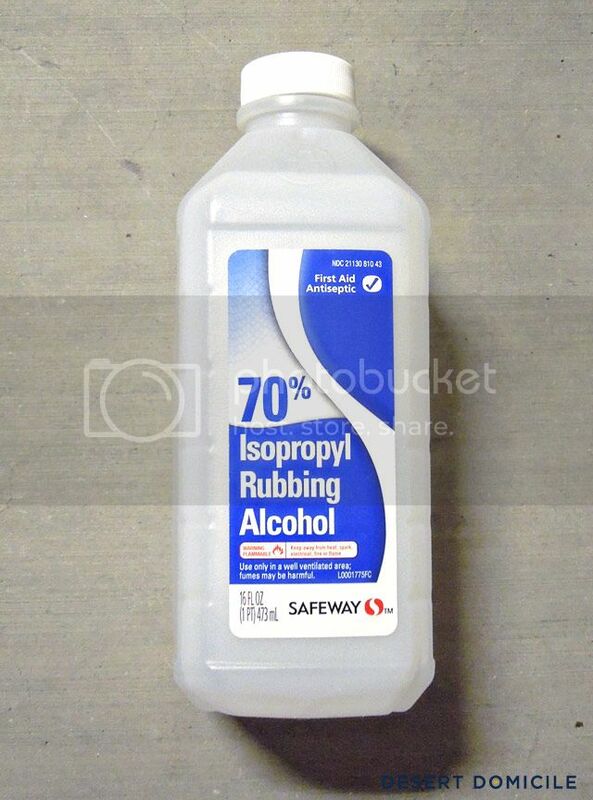 I did this in my garage so I wouldn't get rubbing alcohol on anything inside. 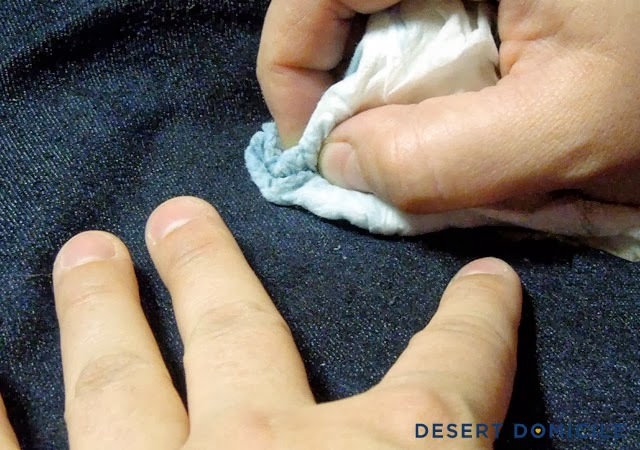 If you're doing this inside, cover the area you're working in with something because the alcohol soaks right through the jeans and gets whatever is underneath them wet. I had to dip my paper towel into the alcohol a couple of times to get the larger spot out but my jeans ended up paint free! I tossed them in the wash after the remaining alcohol had evaporated. 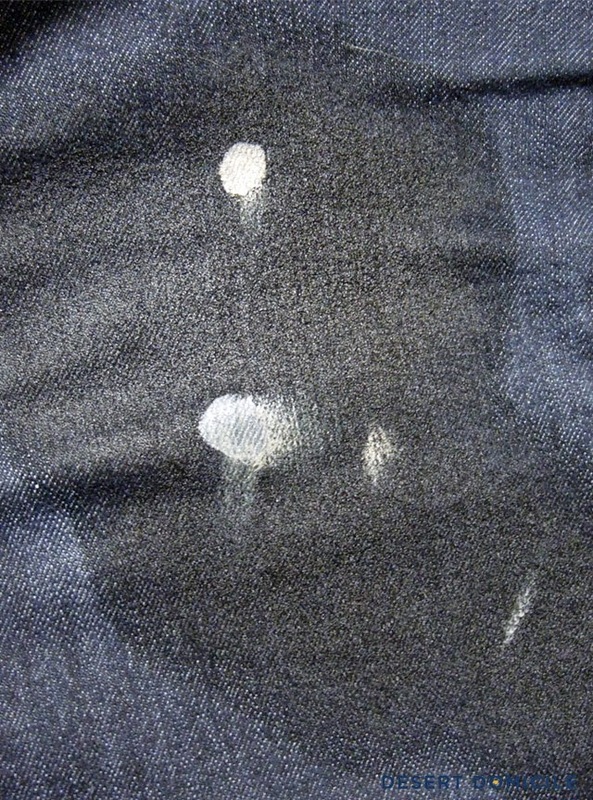 My jeans are dark wash jeans so I did notice a little bit of ink loss around the area where the paint was (you can kind of see what I'm talking about in the photo above). 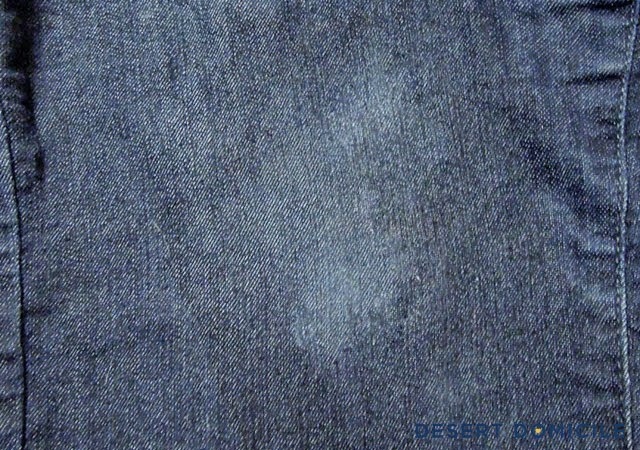 It's not very noticeable at all, it just looks like the knee area of my jeans is a bit worn. 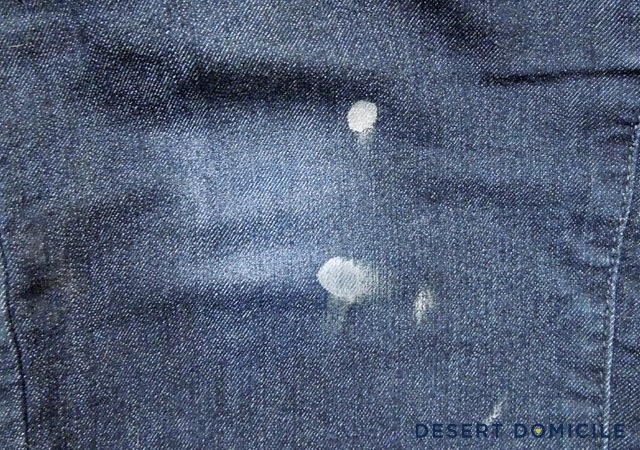 If you think the ink loss will bother you, test the rubbing alcohol in an inconspicuous place on your jeans (waist band, inner thigh area, etc.) to see what happens to them before you apply it to the dried paint. 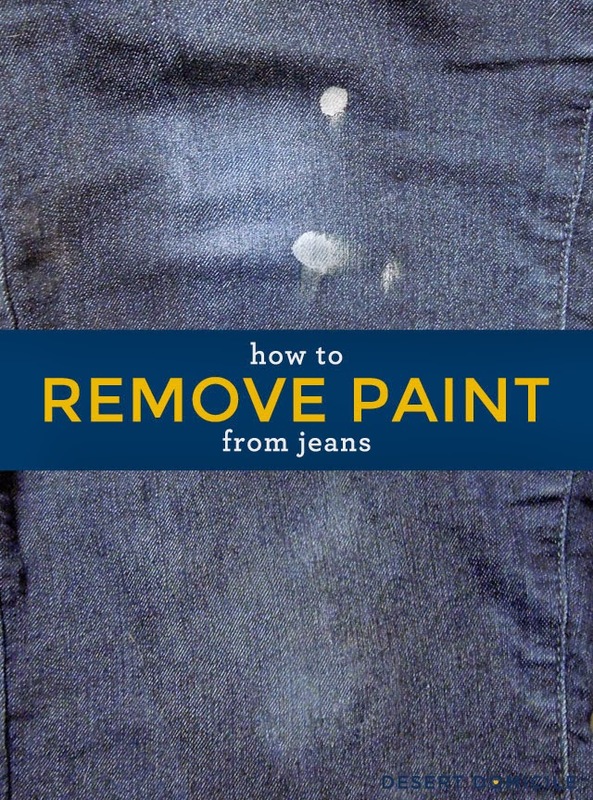 Have you ever gotten paint on your jeans? How did you remove it? I had no idea about this! This is super helpful! LOL, I needed this, you have no clue. I just got done with a coat of paint in my daughter's room and I was bitching about me getting it all over my clothes. Too lazy to change! HOW HAVE I NEVER KNOWN THIS? I have many an item of clothing that should have been saved. I didn't know either haha I felt like I had been living under a rock! Woah! Thanks for sharing!!! Do you know if this works on other fabrics as well? I'm in the how did I not know this group, thank you!! I've ruined some yoga pants this way too, will try on them as well. Pinning! 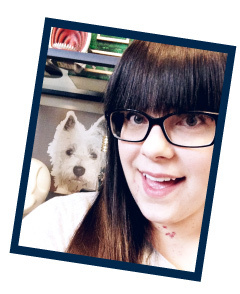 i am with gabbi - my mind has been blown. wow. Who knew? I have about 10 pairs of painting clothes, because I never wear the same ones each time I paint. It's a problem. I had no idea that worked so well. Great tip! I just recently had to upgrade my 12 year old painter's pants because they ripped as I was squatting to paint something. whoops. Wait. So y'all clean the paint off of your pants? so need to know this, thanks. i have paint over so much of my clothes. Professional housepainter here. No, the alcohol won't work on oil-based paints. It makes sense to not only HAVE a set of paint clothes, but USE them. I can't paint in good clothes because I can't relax enough to do a good job. I know eventually I'll drip or splatter on whatever I wear. Heck, I won't even open a bottle of bleach unless I'm in clothing I don't care about. Yeah, I look a wreck until I leave the house.